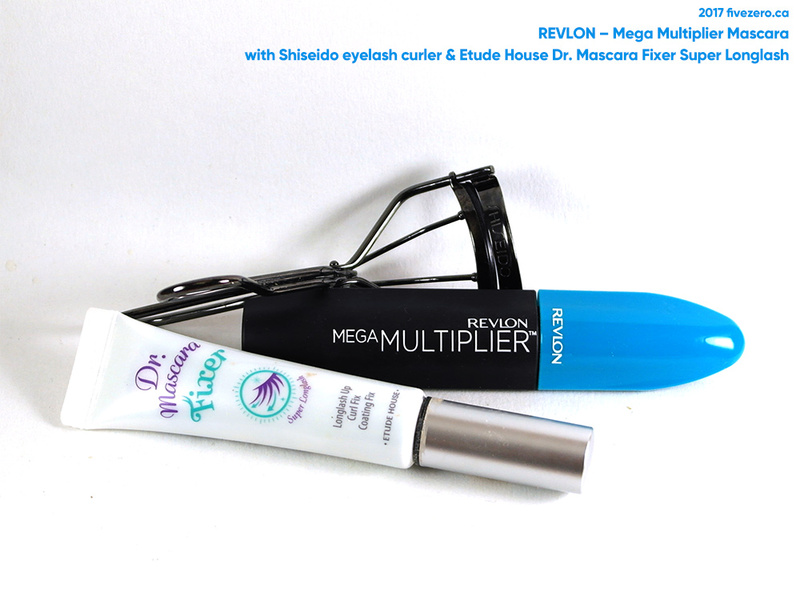 I recently received Revlon’s new Mega Multiplier Mascara for review, and I was both excited and unsure what to expect, because throughout my twenty years of using mascara, I’ve somehow managed to have never tried a Revlon mascara. Ever. It’s pretty odd, because I’m definitely a fan of some Revlon products. I can only assume it’s because Maybelline, L’Oréal, and CoverGirl take most of the drugstore mascara glory, and Revlon mascaras are never quite cheap enough for me to just toss in my shopping basket on a whim (like I’ve done with Annabelle, Essence, and Wet N Wild). Anyway, their new mascara is actually a combination fiber and tubing mascara. I’ve used fiber mascaras in the past, but I don’t think I’ve tried a tubing one before. 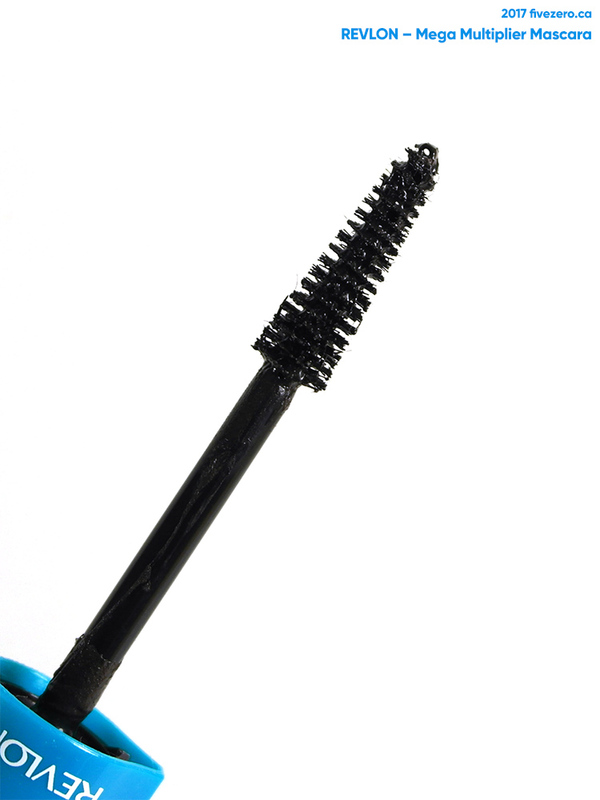 According to a cosmetics chemist: “Instead of the traditional oils and waxes used in mascaras, tubing formulas use a flexible polymer that is an excellent film former”, and works to thicken and lengthen eyelashes. Mega Multiplier Mascara combines fibers and tube technology in one mascara, so it’s meant to seriously lengthen and thicken the eyelashes. Perfect, because my lashes are short and thin! The only issue was that the mascara I was sent was not waterproof (I have the most stubbornly straight lashes that need something waterproof to hold the curl), so I had to use it over a mascara primer. I used Etude House Dr. Mascara Fixer Super Longlash, which is itself a fiber mascara, as well. Double the fiber! So, onto the mascara! First off, I love the shape of the tube. It’s easy to hold (kinda grippy texture!) and it’s not round so it doesn’t roll off the counter. Perfect. The brush is fantastic. I’m not a fan of the spiky plastic brushes that are all the rage these days. They’re poky and I have to go over my lashes about twenty times before enough mascara gets deposited. This Revlon brush is nice and bristle-y, and catches my fine lashes well. The flared, Christmas-tree shape works really nicely, too. I just need to get better at applying mascara with my left hand. I’m usually too lazy to attempt it, and just use my right again, which isn’t an issue if the mascara brush is symmetrical. In the case of this mascara, it was obvious that the mascara applied much better if the wide end lined up with the outer lashes. But I tend to stick myself in the eye if I use my left hand—or just get mascara everywhere—so I do need to practice more. Tiny lashes require more precision, sadly. The color they sent was Blackened Brown (803); I normally buy the blackest color in a mascara, since I have black hair, but I didn’t really have issues with this shade. It wasn’t super black, but it still looked good to me. There were things about the mascara that didn’t work for me, though. For one, it was kind of clumpy. The brush picks up a ton of product, and the mascara is on the wetter side, so I had to really wipe off a lot of product. The first time I used the mascara, it went on pretty nicely and not too clumpy. But on subsequent uses, it became a bit clumpier—I don’t know if it’s because mascara was drying on the bristles, or something. The wetness and clumpiness of the mascara, combined, also meant that my lashes were much more likely to uncurl throughout the day, even with the waterproof primer on under it. I really do prefer a drier, more lightweight mascara, for this reason. I cannot speak to ease of removal, since I used a waterproof eye makeup remover for the waterproof eyelash primer that I wore under this mascara. 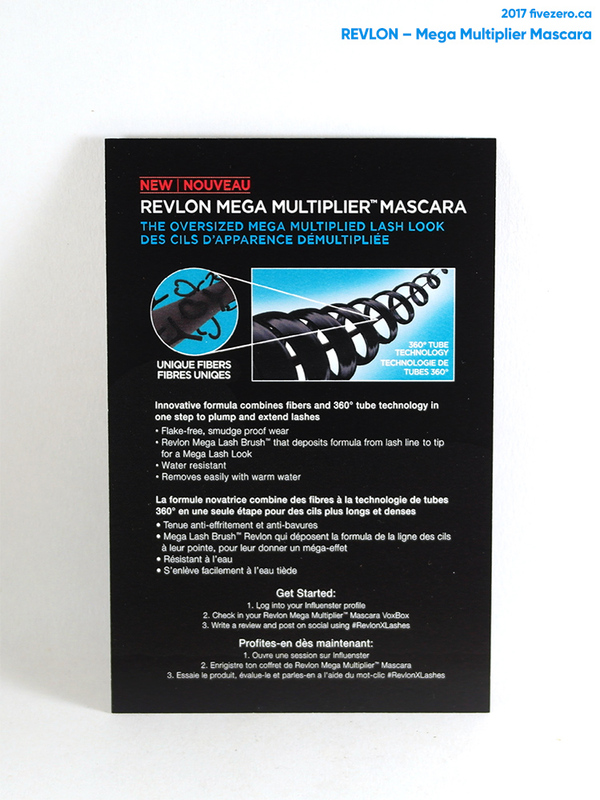 Revlon Mega Multiplier Mascara retails for around US$8.99 / CA$10.99 and is 0.28 US fl oz / 8.5 mL. It is made in the USA. Revlon was founded in 1932 by the Revson brothers and Charles Lachman. It is a public company based in New York, NY, USA. 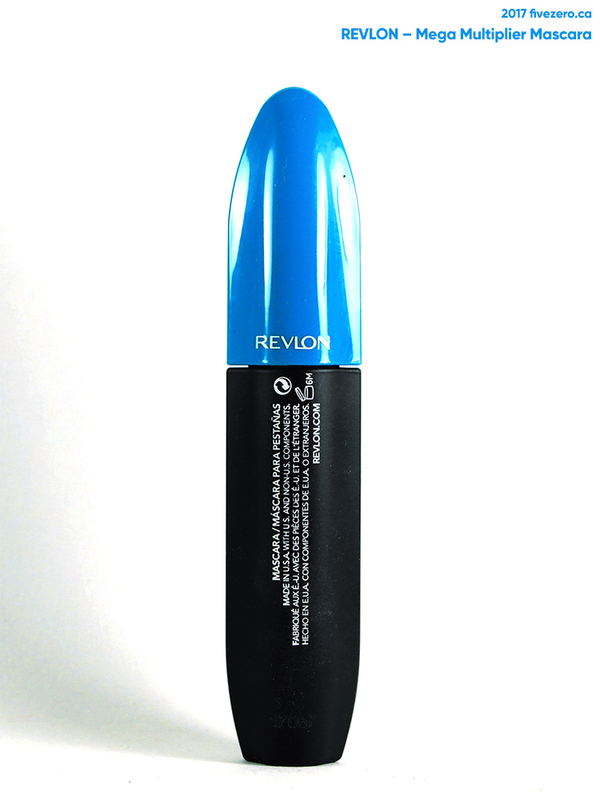 Revlon was never known for their mascaras. Their overhaul of all their mascaras was a sign that they wanted a piece of the drugstore mascara action! Just think about the turn rate of a mascara vs a foundation (what Revlon is mostly known for). Ewwww I can’t believe you’re still using that Etude House primer! 😆 Actually, for some reason I feel those squeeze-y style mascara tubes help keep mascara longer.